Few investments come close to residential real estate for its tax advantages, income stream, and appreciation. Nearly every expense associated with owning and managing real estate provides some type of tax benefit associated with rental income. In addition to the financial advantages of investment properties, tax laws favor the real estate investor at the back end. Want to know more? 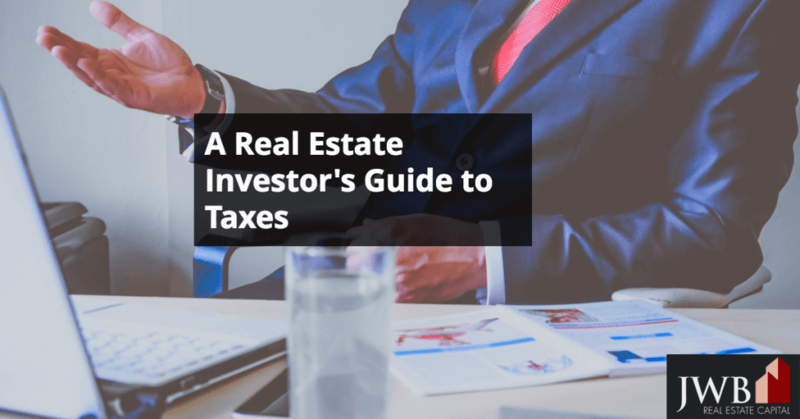 This quick real estate investor’s guide to taxes will give you all the information you nee. Nearly every expense associated with owning a property is deductible as an expense, including the principal, interest, insurance, and property taxes. Any expenses for maintenance are allowed that can be deducted as a one-time cost or depreciated over a longer period. Costs associated with property management are also fully deductible, whether you use a professional property management company or manage it on your own. Under IRS rules, land can’t be depreciated because it will exist even after the buildings that sit on it disappear. You can use the property assessor’s value for the structure, an appraiser’s, or an insurance agent’s estimate of the building’s value. Most investors follow a 27.5 year schedule, which means you can deduct $3,636.36 annually on a building valued at $100,000. Major improvements also fall under the depreciation schedule rather than expenses. A remodeled kitchen, bathroom, or a room addition will last for more than a year. If the improvement costs $20,000 and you expect it to last for 20 years, you’ll be able to take $1,000 annually as a depreciation expense. The distance for determining whether you can deduct travel expenses to manage a property isn’t clearly defined, except by needing a rest period during the trip by car. The property must not be located in the same city in which you live. Lodging, fuel, transportation (including car rental), and laundry expenses are fully deductible as are tips. Fifty percent of meals and beverages are deductible. In order to deduct the expenses of a trip when you combine it with a vacation or personal time, half or more of your trip has to be dedicated to business or activities related to the property. The treatment of capital gains favors those who hold property for more than a year. If you hold property for less than a year, short term gains apply and they’re taxed at the same rate as wages and salaries. However, holding rental property for more than a year lowers the tax rate substantially. You may also be able to take advantage of the capital gains exclusion, which allows for up to $500,000 in nontaxable profit, and you can use this exclusion more than once. Unique to real estate, this IRS provision allows you to roll over profit from one property to another without incurring any tax liability, as long as the new property has a higher value than the sold unit and it’s being purchased for investment reasons. Many of the expenses associated with holding rental property are fully deductible, and the back-end advantages are unique to real estate. However, tax rules do change, so before making such an investment or selling an asset, consult with your tax advisor first. It’s also important to remember that the costs associated with owning rental property require real money. While they are deductible, they’ll only offset your taxes based on your bracket. But the benefits of buying and holding real estate for the payoff when you do sell, and the ongoing income stream make rental property ownership an attractive option for wealth-building.